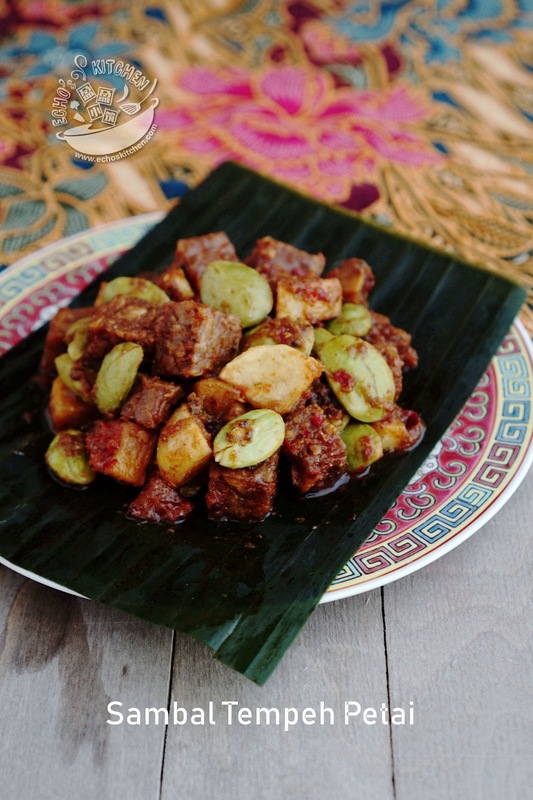 Tempeh (/ˈtɛmpeɪ/; Javanese: témpé, IPA: [tempe]), is a traditional soy product originally from Indonesia. It is made by a natural culturing and controlled fermentation process that binds soybeans into a cake form, similar to a very firm vegetarian burger patty. Tempeh is unique among major traditional soy foods in that it is the only one that did not originate in theSinosphere. It originated in today's Indonesia, and is especially popular on the island of Java, where it is astaple source of protein. Like tofu, tempeh is made from soybeans, but it is a whole soybean product with different nutritional characteristics and textural qualities. Tempeh's fermentation process and its retention of the whole bean give it a higher content of protein,dietary fiber, and vitamins. It has a firm texture and an earthy flavor which becomes more pronounced as it ages. Because of its nutritional value, tempeh is used worldwide invegetarian cuisine; some consider it to be a meat analogue. Parkia speciosa (bitter bean, twisted cluster bean, or stink bean) is a plant of the genus Parkia in the family Fabaceae. It bears long, flat edible beans with bright green seeds the size and shape of plump almonds which have a rather peculiar smell, characterised by some as being similar to natural gas. The beans or other Parkia species (Parkia javanica and Parkia singalaris for example) are popular as culinary ingredient in Indonesia, Malaysia, Singapore, Laos, southern Thailand, Burma, and northeasternIndia, and are sold in bunches, still in the pod, or the seeds are sold in plastic bags. Pods are gathered from the wild, or from cultivated trees: they are exported in jars or cans, pickled in brine, or frozen. 1. Soak dried chili in hot water for about 8-10 minutes, drained. Cut and brush the lemon grass lightly. Peel the potato, cubed/sliced potato and Tempeh into thin slices/cubes. 2. Heat about 1 cup of oil in cooking pan and deep fry potato and Tempeh pieces into golden brown in color, drain and set aside. 3. 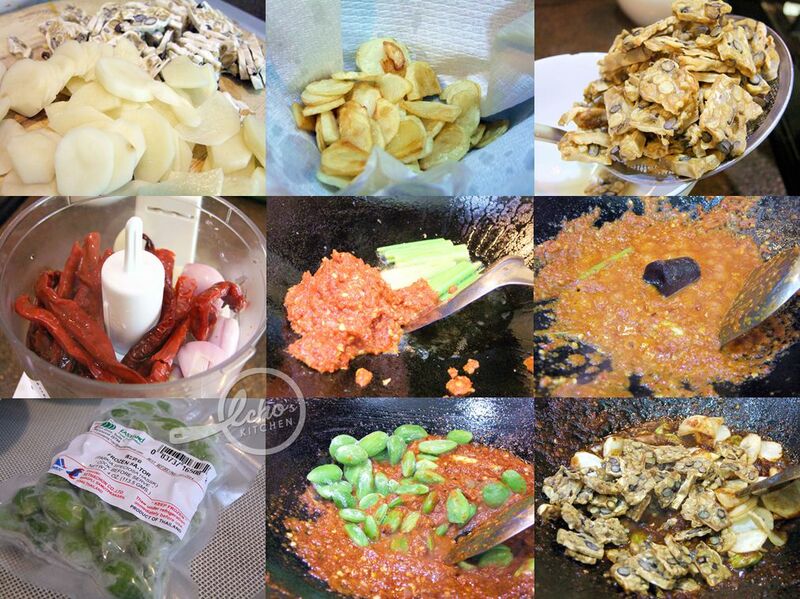 Blend Chili, shallot and garlic into paste. Heat about 2 tbsp of oil in cooking pan, add lemongrass and chili paste and cook until the oil separated at the edge. Add palm sugar/gula Melaka and crush the palm sugar using spatula, cook until dissolved. 4. 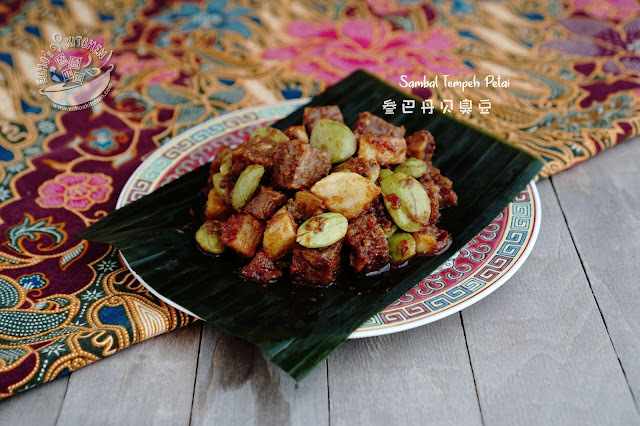 Add tamarind water and Petai, bring to boil and season with sweet soy sauce and salt, continue cooking until the gravy thickened, add fried potato and tempeh, turn well until all coated with sambal sauce. More rice please, sound so yummy!